Salem, OR—Members of Oregon's Health CO-OP have only a few days left to enroll in a new insurance plan. The special enrollment period for members of the now-closed insurance carrier ends on Thursday, Sept. 29. 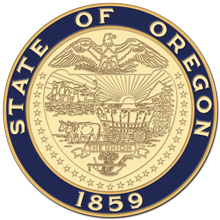 The Oregon Department of Consumer and Business Services, Division of Financial Regulation placed Oregon's Health CO-OP in receivership in July. All CO-OP plans ended July 31. Since then, the department has been working hard to reach CO-OP members and connect them with new coverage. This work included direct mail, email, and phone calls and one-on-one assistance to members enrolling in plans through HealthCare.gov. As a result, 77 percent of the nearly 11,500 individual CO-OP members have enrolled in new plans, according to data submitted to DCBS by carriers. DCBS worked in partnership with insurance agents to ensure employer groups enrolled with the CO-OP found new plans. More than 9,000 people were enrolled in CO-OP group plans. If CO-OP members do not enroll by Thursday, they will not have coverage for the rest of the year. The next opportunity to shop for a new plan is Nov. 1, when open enrollment begins. Plans purchased during open enrollment take effect in 2017. “We strongly encourage any CO-OP member who has not yet found a new plan to call us, and we will walk them through the process,” said Berri Leslie, administrator of the Oregon Health Insurance Marketplace, housed at DCBS.